I feel like if everything around me is tidy and organised, I am more likely to feel good and have a productive day. Since moving back home for a few months until third year, I have found it hard to organise my things. No fancy beauty storage here, just a simple shelf in the cupboard to store everything. It is only now, that I seem to have some sort of system going on. 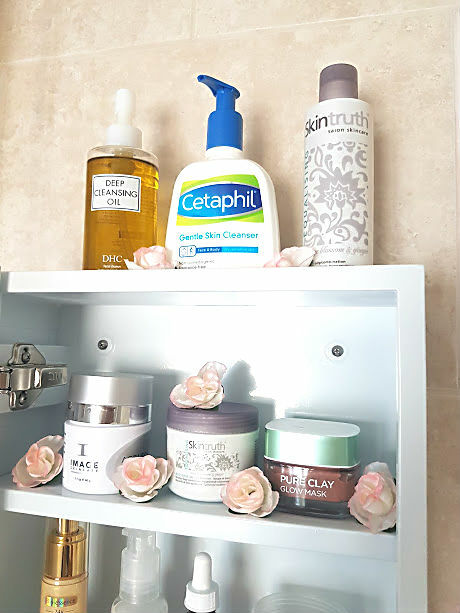 Since developing a love for skincare products, I've also had to find ways of storing it all and after going through a slight struggle, it has all been sorted! 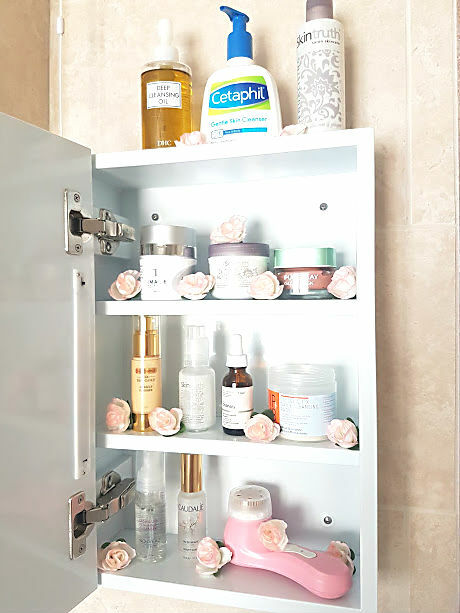 Let me introduce you to my new skincare storage, everything from cleansers to masks is now being stored in the Tremolo LED bathroom cabinet from Lumino*. This cabinet is made up of two height adjusting shelves, which has allowed me to organise my products into different sections for easy reach. 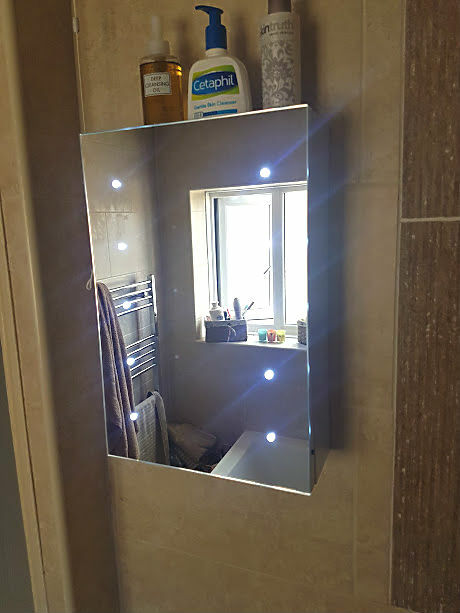 The most incredible part of this cabinet is the outside, not only it is mirrored but there are also ten, white LEDs on the mirror that gives an extra bit of light. This has proved very useful for applying both skincare and makeup, as you can see everything clearer. 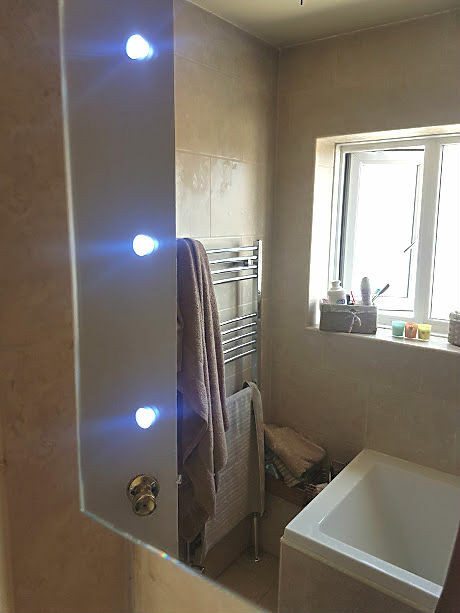 The lights are battery powered so no need to worry about any fancy wiring, similarly there is no need for fancy attachments, you simple screw and drill. Having this space to store my skincare has been life changing (no word of a lie), don't know what I will do when I have to go back to uni!! Technically, this isn't inside the cabinet but it still counts as part of it. At the top, I have three larger items and ones that I am bound to be reaching everyday. > DHC Cleansing Oil (£24 for 200ml) I've been using this for a few months now and recently ran out, didn't think much of it but a week without felt like a month - it was heartbreaking! So, I ended up repurchasing a large bottle, which takes some commitment but I love this oil as a first cleanser. It breaks down all makeup including mascara and leaves my skin feeling so soft, there's a full review here. > Cetaphil Cleanser (£8.99) This is my favourite cleanser in the whole wide world, it removes my makeup and cleanses my skin without being harsh or drying. A lot of cleansers that I have tried that are targeted to oily/breakout prone skin are very drying and sometimes break me out even more but this one from a kind to skin brand works so well! It gets expensive buying so many, but on a recent venture to Coscto my parents found large sizes for me, so I will never be running out of this again! > Skintruth Toner- (£3.99) Toner's are that skincare products that I always forget to use and include in my routine. The Skintruth range that I have testing recently is really lovely for combination skin, it targets the dryness and oiliness all in one. This toner is something that I prefer using in the morning to hydrate my skin, it has really helped in balancing out my skins PH and adds that little bit of extra nourishment to my skin. There are so many masks that I adore, from the T-Zone Charcoal Self Heating to Body Shop's Tea Tree one, but recently these three have been working the best on my skin and they fit in the cabinet too. > IMAGE Total Overnight Retinol Masque (£80.00)* This is a very, very pricey mask but if it works then spending more on a product is worth it. I've never been one for overnight treatments, but this retinol masque is something else. Retinol is a very powerful ingreident with many benefits, the biggest being helping to fight pigmentation, a problem that I suffer with everywhere on my face. I've been using a thin layer of this on my forehead 3 times a week for the past few weeks and have noticed a considerable difference in my skin. I focused on just one area first, to see how my skin would react and touch wood it has been very good. I was very worried that using this so often would dry my skin out, as that is what retinol does, however the use of water bank technology in this helps to keep my skin hydrated and it hasn't been dry at all. I'm hoping that continous use of this over a few months will really help calm my hyperpigmentation down. 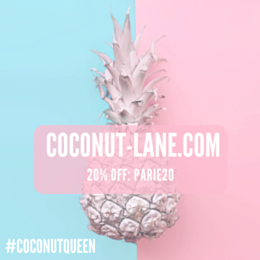 > L'Oreal Pure Glow Mask (£7.99) This is the best mask for when you skin needs a boost in apperance, best for a day before an event or if you want your skin to look glowy. This has exfoilating particles inside of it, so when it comes to washing it off you are giving your skin a good old scrub too and this works perfectly in removing those dead skin skills. The three clays used in this mask are none drying, so expect your skin to feel soft and smooth after use not all gritty. I think L'Oreal have recently extended the range, need to hunt them down! > Skintruth Equalising Mud Mask - I think Skintruth, are fast becoming my favourite brand. They have ranges that are targeted to certain skin types and this one for oily/combination is ideal for me and my skin. This is such a gentle mask, it helps to reduce blemishes and remove the excess oil. For a mud mask, this is very nice on the skin. It is an almost mousse like texture and when it applied, it simply settles into the skin and doesn't dry as opposed to the likes of Glamglow masks, which really tighten up. > Bio-Essence 24K Miracle Finisher* (£29.99) - This is one of those products that you don't really need in your routine, but having it will make the biggest difference without you even knowing. The serum like formula has to be applied right at the end of a skincare routine, within seconds it absorbs into the skin and then I am able to either move onto makeup or sleep. The purpose of this finisher is to seal in all the skincare nutrients that has been applied before hand, aswell as protect the kin from pollutants and makeup - acting as a barrier between the skin and everything else. I was very specitcal about this at first but using it every morning as a primer has helped my makeup apply on like a dream. It gives my skin an almost healthy glow and I know that everything is going to be locked in place. > Skintruth Velvet Soft Serum. Applying a serum to my skin inbetween a toner and moisturiser has been so beneficial. It helps to restore my skin and makes it feel real supple. The consistency of this serum is very liquidy, so a tiny bit goes a long way. I use this time to give myself a face massage and get everything sunk in. > The Ordinary Squalane & Nip and Fab Cleansing Pads - I've spoken quite a bit about these two products over time, so won't go into too much detail other than they work for my skin in different ways. The squalane, is an oil that I love to use when my skin is really dry, it helps to restore the moisture back in without feeling really greasy. Using oils when you have oily skin is absolutely fine by the way, in fact it probably helps your skin more than it ruins it. The cleansing pads are a spots worst nightmare, they help to clean up if its popped and help to reduce the size down almost overnight. I take one and use it as an almost spot treatment by gently rubbing over it and by the next morning, the spot is smaller and less obvious. > Nouveau Lashes Lash & Lid Foaming Cleanser* (£14.99) - This is my holy grail eye makeup remover, one tiny pump of this cleans both my eyes and removes all traces of makeup. Even on none eyemakeup days, I still use this as it conditions the eye area. It is very gentle on the eyes and works so well at removing everything without irritating the eye area. > Caudalíe Beauty Exlir (£12 for 30ml)* If there is one spray product that seems to be well loved in the beauty community it has to be this exlir. The beauty exlir by Caudalíe has been around for 20 years, this year to celebrate this momentous occasion, they have teamed up with the ever so gorgeous Rosie Huntington-Whiteley. She swears by this exlir and if her skin glows by using this, then I will definitely use it. I've mentioned a few times already, that I am loving glowy skin at the moment. This is the perfect product to keep the glow going all day. Spraying this throughout the day, gives my skin that glow again without being too heavy on the skin. I also love using it right before I go to sleep, it calms my skin and cools it down. I'm going to Germany for a few days next week and with the heat they are experiencing in Europe at the moment, this will be the perfect pick me up! > Magnitone Bare Faced Brush*(£70) This cleansing brush is like no other, every night when I have to remove my makeup this is what I use. Using it in combination with the Cetaphil cleanser has worked a dream for my skin, it makes sure that everything is removed and overtime this brush has cleaned out my pores and having it in the cabinet, makes sure that I use it every single night/morning if I haven't worn makeup. If you want to read a full review check out this post. My sincere apologies that this post is long and wordy, I just had to show inside my fancy new cabinet! 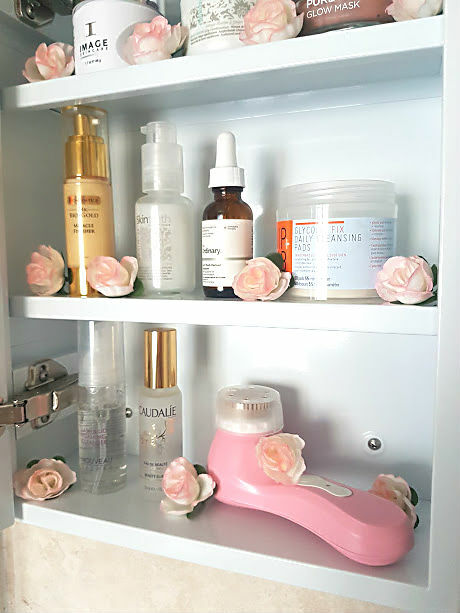 How do you store your skincare products?